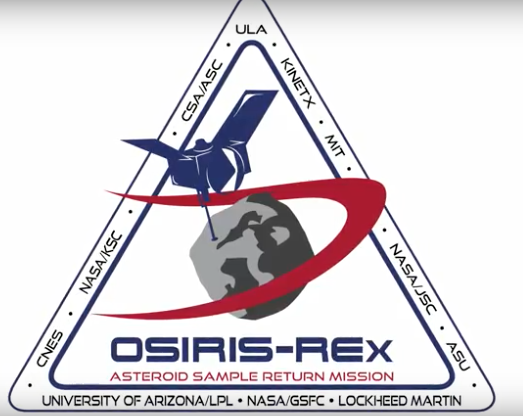 A year has passed since the launch of NASA's OSIRIS-REx on a mission to return with an asteroid sample. A few days ago the spacecraft made a pass by Earth and relied on the planet to provide an extra boost from Earth's gravity to change its orbital plane. Here's an account of what occurred. This artist's concept shows the OSIRIS-REx spacecraft passing by Earth. Credits: NASA's Goddard Space Flight Center/University of Arizona. At 12:52 p.m. EDT on September 22, the OSIRIS-REx (Origins, Spectral Interpretation, Resource Identification, and Security – Regolith Explorer) spacecraft came within 10,711 miles (17,237 km) of Antarctica, just south of Cape Horn, Chile, before following a route north over the Pacific Ocean. OSIRIS-REx launched from Cape Canaveral Air Force Station in Florida on September 8, 2016, on an Atlas V 411 rocket. Although the rocket provided the spacecraft with the all the momentum required to propel it forward to Bennu, OSIRIS-REx needed an extra boost from the Earth’s gravity to change its orbital plane. 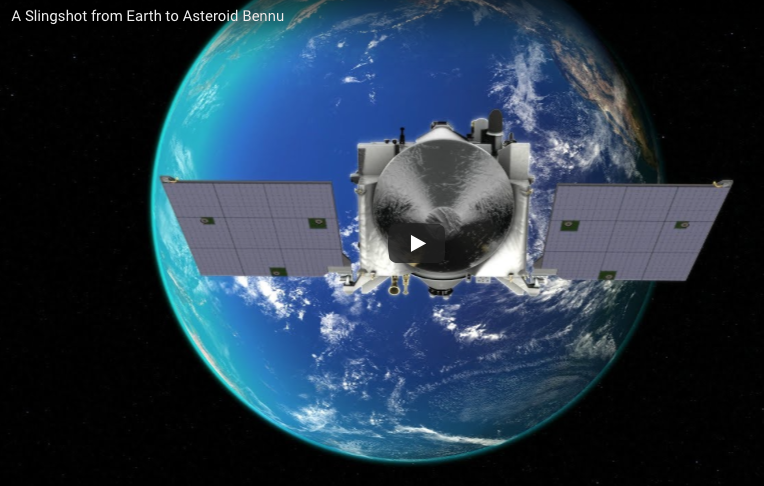 Bennu’s orbit around the Sun is tilted six degrees from Earth’s orbit, and this maneuver changed the spacecraft’s direction to put it on the path toward Bennu.